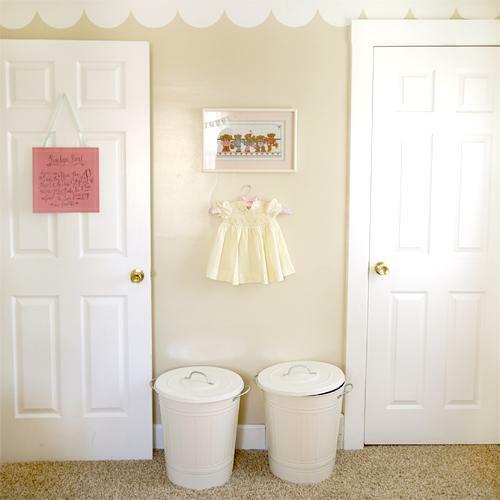 Loving these two nursery designs that have popped up in the blog world recently. And both were done on a budget! James' nursery at The Scoop. 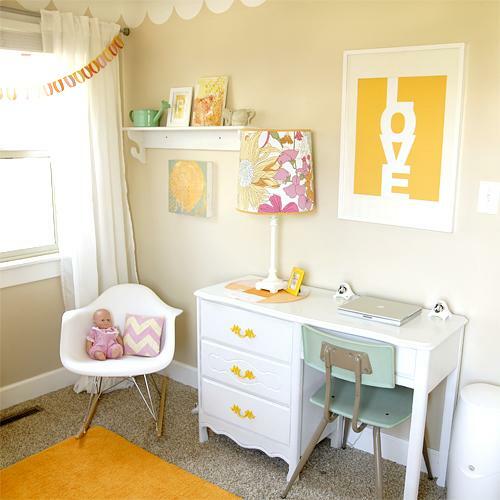 Totally dying over that paint color. I'm loving that blue paint color too! It's a beauty. love love love those! i wish i would have done my daughters in softer colors like those. 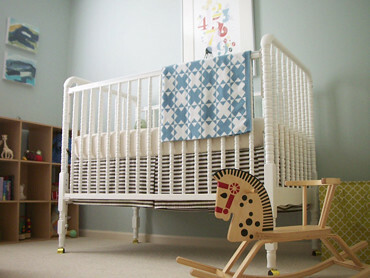 its so pretty and the boy room is calm and soft too but def for a boy. I LOVE the 1st one. Yellow makes me happy! I've seen the second one floating around here & there, & I'm completely in love with the wall color & the artwork on the walls! 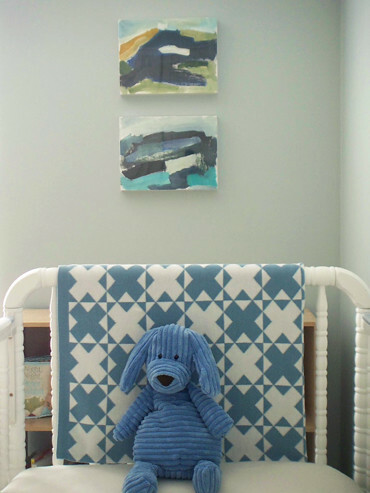 If I have a boy (& if he ever gets his own room), this will be my inspiration!